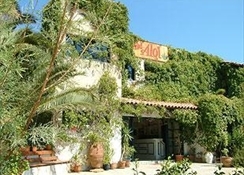 The Aloi Hotel is in a peaceful area, 250 metres from the beach. There is a handful of shops, bars, taverns and restaurants near to the hotel. The nearby resort of Hersonissos has a large selection of shops, bars, restaurants and clubs and is the place to go if you are looking for a livelier evening, or a days shopping. This hotel is an ideal choice for families and couples looking for a quiet, relaxing property for a truly restful holiday in Crete. 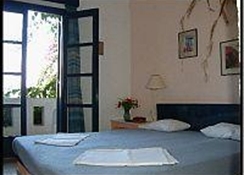 The hotel has 25 bungalows and double rooms, all facing the sea. Rooms on the upper floor have sea views whilst those on the ground floor look out on the attractive gardens. The hotel pool is surrounded by beautiful gardens. The hotel has a restaurant and a bar. 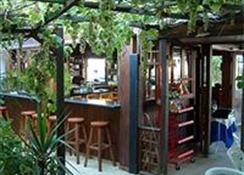 The garden restaurant offers a quiet shady place to enjoy a meal, on Saturdays there is fresh fish from the market, fortnightly barbeques with various meats and roasted potatoes from the wood-burning kiln and original thai cuisine is also available.